In the spirit of the holiday season, I thought I would share my “wish list.” This isn’t so much what I want for Christmas as it is what I wish actually existed in the LDS scholarly/apologetic corpus. 1. Collected Statements of the Three and Eight Witnesses: On a number of occasions, Richard Lloyd Anderson has said that he has collected over 200 statements from one of the eleven witnesses relevant to their testimony of seeing the plates, many of which have never been published. Of the ones that have been published, they are scattered all over the place, or mixed into much larger collections of documents. What is needed for those who would like to study the witnesses is a volume with transcripts of all the relevant first-, second-, and even third- or fourth-hand sources. Any scrap of paper that has potential relevancy to the question of what they saw and experienced ought to be included, with introductions providing some historical context for the statements. It would have to be a collaborative effort, but Anderson would be the ideal candidate to serve as a general editor/compiler for the project. I’ll volunteer right now to do whatever I can to help with such a project – so they can be sure that they have at least one undergrad intern on board! 2. A Scholarly Biography on Oliver Cowdery: I’m talking something on par with Richard Bushman’s biography of Joseph Smith, or the recent biography by Terryl Givens and Matt Grow on Parley P. Pratt. To my knowledge, no such biography exists. As the “second elder” and, in my opinion, the second most significant person to the origins of Mormonism, Cowdery deserves a good biographer to do him justice. If I had to pick an author for this project, it would probably Larry E. Morris. Again, there is already at least one undergrad intern who would contribute whatever he can to seeing this book come into fruition. 3. A multi-volume, multi-author commentary on the Book of Mormon, with accompanying BoM dictionary/encyclopedia: Okay, so I basically borrowed this from William J. Hamblin’s “Desideratum for the Study of Mormon Scripture,” but it is something that needs to be done. I’m talking something on par with the Anchor Bible and Anchor Bible Dictionary, but for the Book of Mormon. Each book within the Book of Mormon would have its own volume, while some (such as the endless book of Alma) would probably be multiple volumes, and would cover every conceivable aspect: geography, chronology, politics, law, warfare, poetics, linguistics, literature, culture, metallurgy, ecology, etc. in addition to doctrinal and scriptural interpretation and spiritual insights. I would include as a part of this (probably in dictionary/encyclopedia) something not unlike Hamblin’s fourth, fifth and seventh items (fully analyzed historical Book of Mormon geography; fully developed internal and external chronology; complete onomasticon). I would also include some of the nineteenth-century history of its coming forth (Moroni visits, translation process, three and eight witnesses, printing and publication, etc.) in an introductory volume (and/or as part of the dictionary/encyclopedia). Ideally this project would include (but not be limited to): John W. Welch, Royal Skousen, John L. Sorenson, Brant A. Gardner, William J. Hamblin, Stephen D. Ricks, Donald W. Perry, S. Kent Brown, Mark Alan Wright, David E. Bokovoy, John A. Tvedtnes, John Gee, Grant Hardy, Noel B. Reynolds, Warren P. Aston, Richard L. Bushman, Richard Lloyd Anderson, Mark Ashurst-McGee, Don Bradley, Paul Y. Hosskison, Matthew Roper, Allen J. Christensen, John E. Clark, Larry E. Morris, Steven C. Harper, Randall Spackman, Ben McGuire, John S. Thompson, Aaron P. Schade, David Rolph Seely, Jo Ann H. Seely, Paul Y. Hoskisson, Jeffrey R. Chadwick, Matthew L. Bowen, and probably several others. You get the idea – I’m dreaming a little bigger on this one. I want all the who’s who of Book of Mormon scholarship and apologetics that are still living and breathing involved in this. With such a monumental project, of course you would need a General Editor to lead and direct it all. Who else could fit such a task other than Daniel C. Peterson (who should also be included among the list of contributors)? Unfortunately, the kind of funding and effort to make such a monumental project come into fruition is a long ways away. By the time it is even remotely possible, most these names just may be irrelevant by then. 4. Book of Abraham Evidences/Defenses Collection: I know all about the Book of Abraham series at the Maxwell Institute. Some really interesting stuff in there, to be sure. But each of those volumes is specialized and focused on one piece of the puzzle, and each is big and expensive. 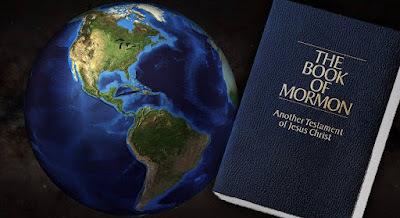 What I would really like to see is a volume akin to Book of Mormon Authorship Revisited or Echoes and Evidences of the Book of Mormon for the Book of Abraham; a single, convenient (and relatively inexpensive) volume that makes a general overview of the evidence readily accessible. I would prefer to see Kevin L. Barney, Michael D. Rhoads, John Gee, Kerry Muhlestein, Brian M. Hauglid, maybe John S. Thompson (PhD in Egyptology, but yet to do anything on the Book of Abraham), and even the much vilified William Schryver among the contributors. 5. An LDS scholarly edition of the Bible: I understand why the Church formally sticks to the KJV. It’s language is consistent with the language used in the rest of the cannon, other more modern (and more accurate) translations tend to reflect certain theological biases that work against certain theological tenets of the Church, and to have our “own” translation of the Bible would really raise hell among Evangelicals (ala the Jehovah’s Witnesses) who already take issue with so much the Church does. But I would really like to see a good, scholarly edition of the Bible translated by LDS scholars, and possibly incorporating some of the JST readings. I’m not suggesting this become the “official” Bible of the Church, but to have as a study tool for nerds like myself. Many of the scholars already named could also serve as contributors to this, along with several others whom I’m too lazy list off at this point. So there you have it. A short list of 5 things that I think the present world of LDS scholarship is lacking, and which I think would fill important voids. If Santa could find away to make these things happen, I would be happy as a kid on Christmas morning!